The State Attorney’s office for Palm Beach County, run by Dave Aronberg, botched the murder prosecution of Tilus Lebrun, who killed West Boca’s Jimmy Karaloukas at the victim’s Jimmy the Greek restaurant. Lebrun was just found not guilty by reason of insanity on Monday on all charges including subsequent incidents of felony battery on law enforcement officers. 2. Although the defendant knew what he or she was doing and its consequences, the defendant did not know that what he or she was doing was wrong. (2) BURDEN OF PROOF.—The defendant has the burden of proving the defense of insanity by clear and convincing evidence. If you read the statute, that is not the correct question. It is overly simplistic. The psychologist should have been asked to address the language of the statute. It seems clear that the psychologist would have answered yes to part (a) of the statute – that Lebrun had a mental disease. But the bigger issues are in part (b). Did Lebrun know what he was doing? If so, did he know that what he was doing was wrong? The unanswered question is whether Lebrun knew that what he was doing was wrong. For that we know under Florida law that it was his burden (or his lawyer’s) to prove that by clear and convincing evidence. This is a high standard to meet for the defense. There’s a recent example of this in a case out of Orlando, Rodriguez v. State. In that case Rodriguez had the same diagnosis as Lebrun (paranoid schizophrenia) and the insanity defense was similarly based on hallucinations and delusions. The jury found Rodriguez guilty* even though seven defense expert witnesses testified he was insane and the prosecution did not offer an expert witness. the jurors were free to consider Rodriguez’s hallucinations and delusions as evidence of whether he suffered from a mental infirmity, disease, or defect, [but] they were only permitted to consider whether this condition caused Rodriguez at the time of the offenses to not know what he was doing or the consequences of his actions, or whether he knew that what he was doing was wrong. Due to blunders by Aronberg’s office the victims and their families were deprived of a fair hearing on this important issue. An Orlando jury faced with similar facts denied the insanity defense. 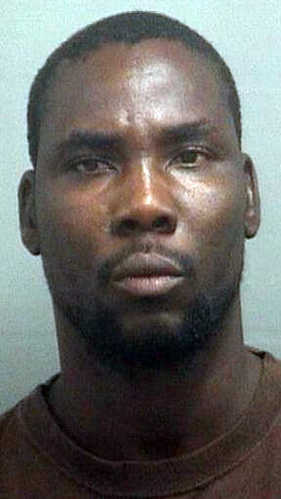 Lebrun’s insanity defense should have been determined by a Palm Beach County jury. *Although the Rodriguez case was reversed on appeal (on a technical legal issue related to jury instructions), Rodriguez pled guilty before the second trial. He was sentenced to 30 years and later committed suicide in prison. Would Aaron Rajman Still Be Alive If Aronberg Had Done His Job? We have been critical of State Attorney Dave Aronberg in the past. One of the reasons is his office’s failure to aggressively prosecute dangerous criminals, which is the reason for this article. Aaron Rajman, image from a July post on his Facebook page. In this case it’s about the death of West Boca’s Aaron Rajman. Rajman was murdered, shot in July in a home in Sandalfoot Cove. One of the men arrested for the murder is Roberto Ortiz. Of course all accused are innocent until proven guilty. Roberto Ortiz mugshots: Left is his mugshot from a January 2017 arrest for robbery with a firearm. Right is the mugshot from yesterday’s homicide arrest. Back in January Ortiz was arrested for robbery with a firearm. According to the probable cause affidavit, Ortiz attacked and robbed a student. Part 1 of the police description from the January Ortiz probable cause affidavit. He and another man approached three students who were walking home from their school bus stop. The other man had a handgun, and fired it in the general direction of one of the victims. Both of them kicked and punched that victim, and Ortiz allegedly searched his pockets. Part 2 of the probable cause affidavit. One of the other victims had video of the incident. Both Ortiz’ high school principal and Ortiz’ mother identified him from the video. Ortiz then admitted he was at the scene and attacked the victim. In other words, if the probable cause affidavit is accurate Aronberg’s office had compelling evidence that Ortiz had committed a violent crime. Which makes it hard to understand why they dropped the case against Ortiz in less than two weeks. Our regular readers may remember the case of Brett Knowles, a Boca Isles resident who hit three pedestrians on US-441 near West Boca Medical Center while driving on a suspended license. Aronberg’s office stalled on the prosecution. His office had repeatedly let Knowles off easy on charges of driving while suspended. Their failure to fully prosecute him left a dangerous driver on the road with an attitude and led to serious injuries. Now we have a case of a violent criminal who participated in a shooting, was released by Aronberg’s office, and then went on to commit murder. We requested their file on the old Ortiz case and asked for an explanation, though we doubt his office will cooperate (no response in over 24 hours). In the past they’ve told us that they “do not comment on open cases”, but of course Aronberg has already commented on this open case. E-mail from media relations at “sa15.org” – Dave Aronberg’s office. It should be noted that somehow West Boca News was not included on the distribution list for Aronberg’s press release. Some people think it’s inappropriate for politicians to play favorites with the media, but we’re used to it. 1. Summer Church was also arrested and charged with murder and robbery. Ms. Church is a 16-year-old student at Olympic Heights High and a former student at Loggers’ Run Middle School. The Post interviewed her mom, who said that she was forced at gunpoint to call Rajman and was let out of the car before they reached the house. The mom also claims that she cooperated extensively with police. 2. Ortiz is or was a student at Quantum High School in Boynton Beach. Quantum is referred to by one media outlet as an “alternative” school. That may mean it’s an alternative to jail for some of its students. The school test scores are some of the worst in the county. 3. Swinton has a reported address in Margate but may live in Boynton Beach. It appears he attended Don Estridge Middle School and may be a Boynton Beach High student. Swinton and Church may have been dating. 4. The cases for Church and Ortiz are in the court system, though certain documents are not available yet and it’s not clear what will be in the ones that are in process. Swinton’s case does not show up in the court system yet but his arrest record is in the PBSO blotter. Author Warren RedlichPosted on September 3, 2017 Categories Crime, OpinionTags aaron rajman, dave aronberg, murder3 Comments on Would Aaron Rajman Still Be Alive If Aronberg Had Done His Job? PBSO deputies arrested Galen Kinsey (27) Sunday night after a hit-and-run accident. Mr. Kinsey stands accused of several offenses including driving while suspended, DUI, hit and run with property damage, and a probation violation. His reported address is in Boca Del Mar near the Boca Raton Synagogue. Mr. Kinsey previously appeared in West Boca News in February of 2014 for drug charges, where we detailed some of his criminal history. Court records for Palm Beach show a 2012 felony that was resolved with pre-trial diversion. Broward records show a few cases including two disposed with probation. One of the previous cases also involved drugs. Kinsey has managed to add a bit to that since then. In July of last year he was arrested on felony charges of burglary and grand theft dating back to a 2013 incident that may have involved the Apple store at Town Center Mall. The burglary charge was dropped and he was convicted of grand theft. For that he was sentenced to a year of probation, a violation of which has been triggered by the new arrest. Kinsey also had two other criminal traffic cases in October and December. The October case was for leaving the scene of a property damage accident. He was convicted of that and paid fines but had no other consequences. Then in December he was charged with driving while suspended or revoked. That case is still open. He didn’t show up for court and a warrant was issued for his arrest in January. He’s had driving while suspended charges in Broward as well. This history of repeated arrests for hit-and-run and for driving while suspended with little or no consequences should remind readers of the Brett Knowles case we’ve been following. State Attorney Aronberg has been persistent and willful in letting these offenders off, sending the wrong message to bad drivers in our community. Kinsey is yet another in a long list of people who have been repeatedly let off light and then continue to break the law putting us all in danger.